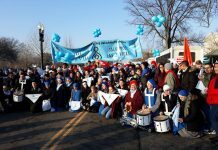 During this month of Advent, and while we are praying the novena to our Lady of Fatima, I would like to share some personal reflections on the deep Marian tradition of the Copts. In the Coptic tradition, the whole Advent preparation is permeated by or even defined by devotion to Mary: they call it the month of Kiahk, as well as the Marian month. This season is dedicated to her and in particular, to the mystery of her divine maternity. Etymologically, the term Kiahk is derived from “Ka-Ha-Ka”, the sacred bull, Apis, an ancient Egyptian god who represented fertility, or generation of life. A second symbol that was later “baptized” with Christian significance originated in the cult of Osiris, whose rites were celebrated during the winter solstice: seeds of grain were mixed with moistened clay, and set in a hidden place until they blossomed, representing Osiris who passed from death unto life. Presently, the practice of setting seeds of grain in a humid place still remains an Advent tradition for the Copts. And so, in a rather material way, the seeds of Osiris’ grain have become the semina Verbi, that is, seeds of the Logos. The liturgy assumes particularly Marian characteristics: at night, the Coptic churches hold long vigils for the celebration of tasbiha kiahkiyya, that is, the psalmody of Kiahk that includes 7 hymns dedicated to the Virgin, called “theotokia”. A desert father, likely from an anchoritic monastery of Scetis, composed the melodies of these hymns in the 3rd century, and tradition has it that St. Athanasius added the words. The theotokia inspire several effects in the faithful: first, honor for her particular role in redemption. Voices rise in jubilant praise of the Theotokos, a term probably coined by the Alexandrian father, Origen (184-254). Secondly, and in a distinctly Coptic way, these Marian hymns foster a vivid spirit of accompanying the Virgin, in her trials, in her silent and hopeful meditation of the Incarnate Word, in the active waiting for the birth of Christ. The Copts call the Advent fast, the “fast of the Virgin”, according to the belief that the Virgin herself would have fasted in the time preceding the birth of Christ. This popular tradition is traced back to a writer from the XIV century, Ibn Siba, who speaks of “our Lady, Mother of Light”. According to Siba, seventh and a half months after the Incarnation of Christ in her womb, Mary would have endured general insults and reproach for her mysterious pregnancy, then visible to all. In response to such incomprehension, he recounts that the Virgin would have offered up the suffering of this painful time with a month and a half of fasting. In this way, the Copts conform their sentiments to those of the Virgin, and in a very concrete way, co-suffer, co-mortify themselves, accompany. 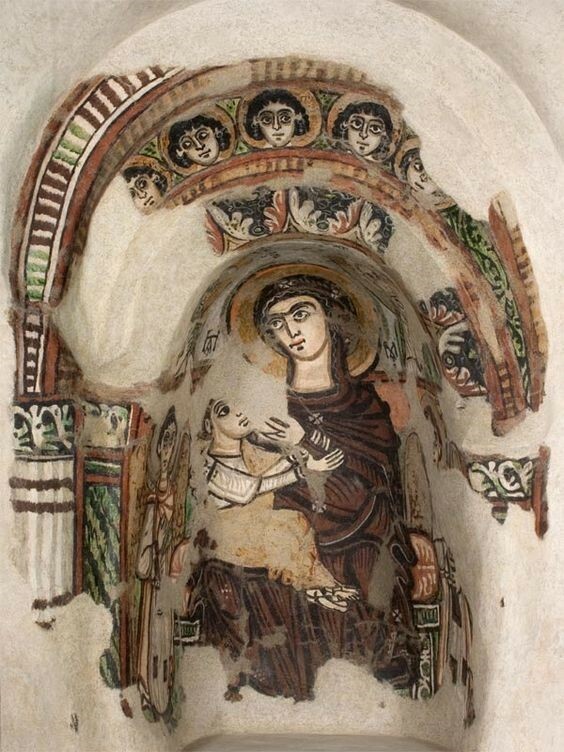 Maria lactans, monastery of Apa Jeremiah at Saqqara (7th c.) Coptic Museum, Cairo. It is likewise interesting to reflect on the contributions from Coptic literature preserved in manuscripts. Scholars have demonstrated that the most ancient hymn to Mary that is known to us, which we lovingly call, the Sub tuum praesidium, is of Coptic origin. 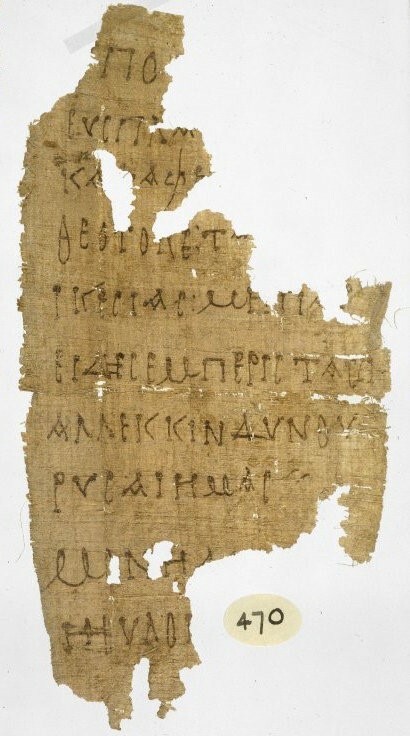 The earliest testimony of the text has been transmitted in Greek and begins, ὑπὸ τὴν εὐσπλαχνίαν (in the original, the word better reflects the sense of mercy than protection). The text was discovered on Egyptian papyrus and is datable to the 3rd century. The precious fragment (18 x 9,4 cm, with 10 lines of composition, bearing tears on both sides) has been the subject of vast studies. Most notably, there is a clear consensus that the entire troparion, as well as the title itself of Mary’s divine maternity as Theotokos, originated in Egypt. 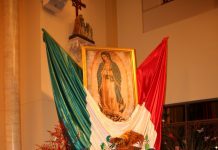 The deep theological significance of the text consists both in its veneration of the Virgin as Mother of God, as well as in its appeal to her as Mediatrix–refuge of sinners and Liberator from dangers. 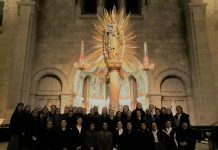 The prayer, sung as a troparion in the Eastern rites, is now diffused in almost every rite in the East and West, and can be found in the ancient liturgical languages of the Roman, Coptic, Syriac, Armenian, Ethiopian, Ambrosian, Byzantine rites. Both in the Syriac and in the Roman rite, the Liber Usualis prescribes its recitation after the Litanies of Loreto. 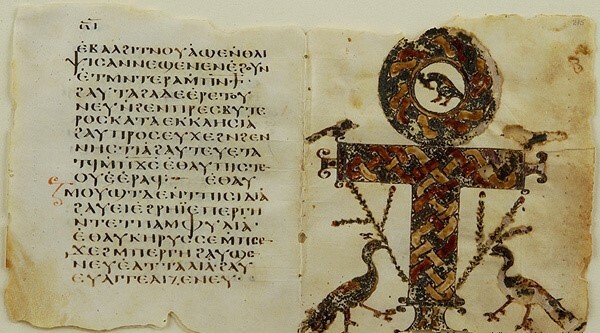 In the Coptic rite, the Orthodox Church omits the prayer in their Horologion (name for the Eastern breviary), having replaced it with other texts, whereas in the Catholic Coptic rite, the ancient prayer has been preserved. 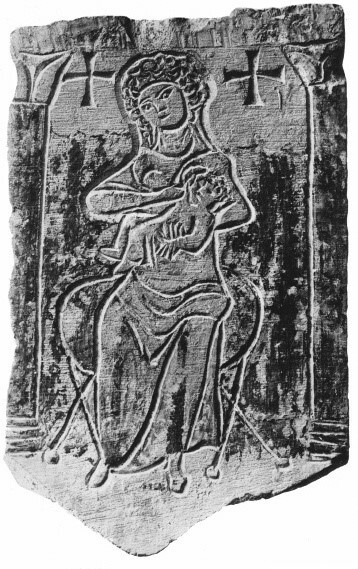 Perhaps the most beloved topos of our Lady in ancient Egypt appearing both by image and in literature, was the Maria lactans (latin for “nursing”), or Maria galaktotrophousa (Greek for “milk-nourishing”). This image was a favorite, in part perhaps, because such concrete dynamism is somewhat inherent to the Egyptian spirit (which had also venerated Isis lactans before Mary as early as 700 BC). 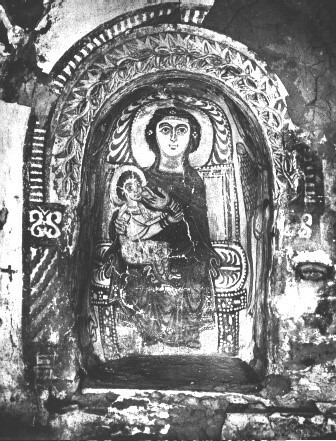 Depictions appeared in frescoes on monastery walls and invoked in literature from late antiquity onward, as Coptic devotion to Mary increased. Later, Maria lactans acquired even more significance throughout the 4th to the 7th centuries in the context of the doctrinal development of the Incarnation. A German scholar, L. Langener, has compiled a 200-page catalogue of all the pictorial representations of the Coptic galaktotrophousa; the equivalent remains to be done for texts. early Galakotrophousa on funeral stele from Medinet el-Fayum (4th c.) Ägyptisches Museum, Berlin. Important Church fathers of Alexandria, like St. Cyril and St. Athanasius, “pillar of the Church”, as St. Gregory Nazianzen so called him, continually emphasized the true humanity of the Son by insisting upon the true maternity of Mary inherent in the image of the Maria lactans. The passionate tones in defense of the Incarnation and Mary’s maternal role resound in a homily of St. Athanasius written after the return from his 2nd exile in 346. Today, this homily has survived in its original Coptic form in a papyrus now preserved in the library of Turin. In defense of the Virgin’s true maternity, he vividly recounts the voyage of Mary and Joseph to Bethlehem, and expounds upon the connection between the Incarnation and the Eucharist. He calls on the prophets to join in singing praises to the Virgin, urges the faithful to behold “the purity that has blossomed” and ends by comparing her to the angels: “all the angels and archangels tremble as they serve the one you carry in your womb, and dare not speak in his presence, while you speak with him freely. If we may call the cherubim great, you are even greater than they, because while the cherubim carry the throne of God (Ps 80:1), you hold God in your hands. If we may call seraphim magnificent, you are all the more magnificent, since while the seraphim cover their faces with their wings (Is 6:2), without being able to look directly upon his divine glory, you not only gaze upon his face but caress it and offer your milk to his holy mouth” (un-critical translation ours). St. Athanasius’ homily contemplates the mystery of the Incarnation through the lens of the Virgin Mother. St. Cyril developed the same theme of the Maria lactans in order to defend the reality of the Incarnation. In several delightful homilies, he imaginatively describes the human relation between Jesus and Mary, how he sat upon her lap, how his small voice called her Mother, how she taught him to walk. Some of the most ancient versions of these texts have been preserved only in Coptic, proving that this was clearly a significant topic for the Coptic culture. 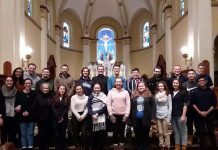 In this light, it is easy to see how their spiritual preparation for Christmas consisted in a contemplation of the Virgin Mary. St. Proclus of Cyrus, a bishop of Constantinople (434-446), who defended the doctrine of the Theotokos against Nestorius, wrote homilies that also have been transmitted in their Coptic versions. (These have been recently edited in a critical edition.) One of these, extant only in Coptic fragments, praises Mary as the “parturient and nursing Virgin”. Virgin, because she did not know man, parturient, because she was pregnant for 9 months, and nurse, because she with her own hands, she wrapped the Child in swaddling clothes, placed him in a manger, and fed him with her own milk. 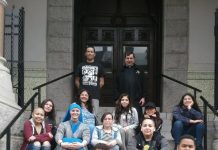 Here we can also find the Coptic equivalent of the Latin Deipara, , as well as for the Greek Theotokos, . Damian, patriarch of Alexandria (578-602), continued this emphasis on the Maria lactans, thereby defending the divinity and humanity of Christ. Though only one somewhat damaged manuscript remains, it is still possible to deduce the date, content, and the author of the text: a homily written in the month of Kiahk praises Mary as a “pure field wherein the pearl is found” and “adorned with every virtue”. After invoking the Maria lactans, he ends with a passionate defense of the Incarnation. Another Coptic text, whose author has not yet been confirmed, but who soundly develops Mariological themes for the sake of orthodoxy, describes her perpetual virginity and other virtues in terms proper to Coptic monasticism, calling her the “first nun”. Other authors, particularly Coptic ones, place her in a similar framework (St. Athanasius had proposed her as model of the ascetic life in several writings, as had Rufus of Shotep at the end of the 6th c.). 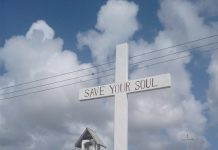 The anonymous author uses images from the Old Testament to illustrate her divine maternity and speaks of her exemption from the pains of birth. The conclusion of the homily acclaims her not only as Mother of God, but as the “caretaker” of all those to be saved. Our parallel expression of this eschatological concept is the “mother of the living”. Codicological and paleographical studies reveal that this homily would have been written during the 2nd half of the 7th century, which corresponds to the very moment in which the Coptic Church was establishing the celebration of Kiahk in their liturgy; the homily therefore remains as a testimony to this tradition. Maria lactans, cell 1725 of monastery of Apa Jeremiah at Saqqara (7th c.) Coptic Museum, Cairo. It is not now the moment to mention other Marian themes richly developed in the Coptic culture, such as the veneration of Mary as queen, her role in the celebration of the Nativity, the joyful arrival of the Holy Family in Egypt (which is more feast than sorrow in the Coptic rite, seeing in this event the sun of salvation having risen upon Egyptian shores). Nor is it easy to imagine the richness of Coptic literature as it once existed, since perhaps 90% of it was lost because of the destruction of the monastic libraries. Thank God that the Sub tuum was salvaged! But with these scant examples we can already see the intensity with which the belief of the Theotokos, her divine maternity, had penetrated the Coptic soil, and had left its fruits in the annual celebration of this maternal season of Khiak.